The Association of Tennis Professionals (ATP) is the governing body of the men’s professional tennis circuits. 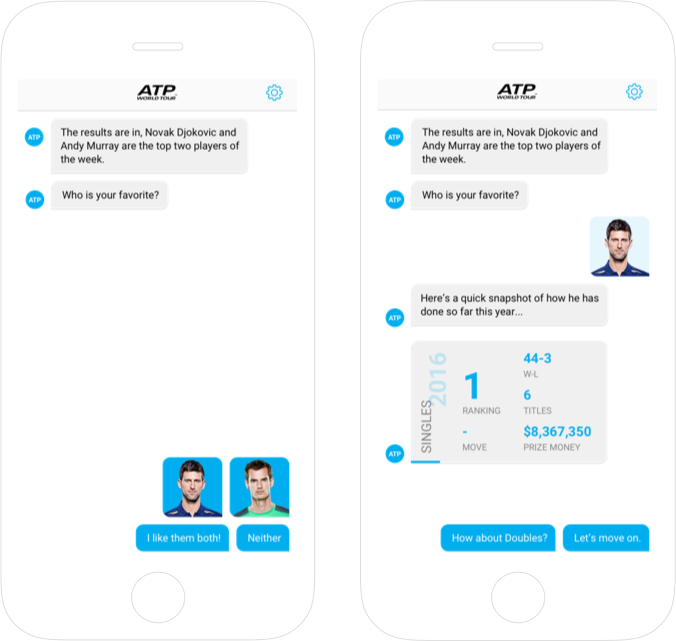 This project was created as a concept pitch for ATP to explore how conversational UI could be used to engage with tennis fans beyond ATP's website. 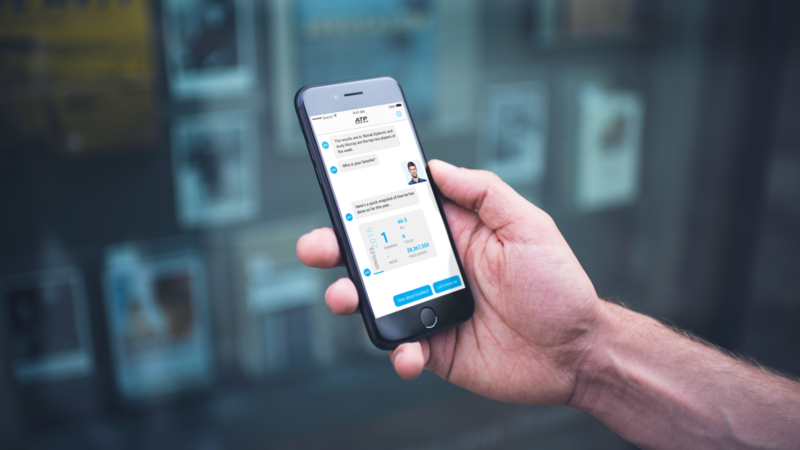 Provide an experience that encourages users to sign-up, participate and keep coming back. Create release valves that help drive traffic and attention to the ATP website. Forget login and sign up screens, let’s just kick off the conversation. When a user opens the app for the first time we need to gather some basic info to help them get started. Is this a new or returning user? How would they like us to address them? Once the sign up process is finished, we need to introduce the app. 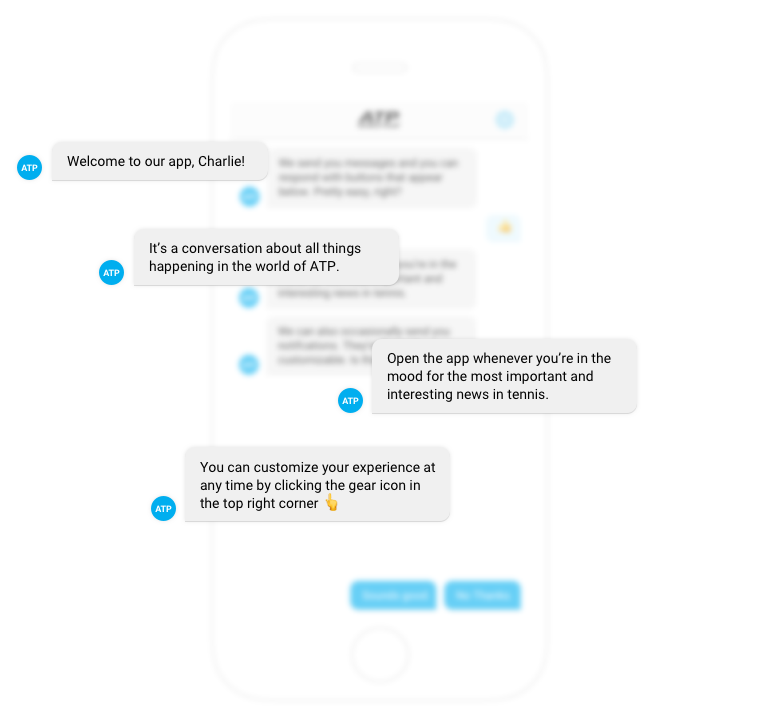 Messaging should give a brief overview of what the user can look forward to, how to interact with the app and how to access their settings or account. This is also an opportunity to ask the user if they’re interested in any specific type of content like stats, rankings, player information, etc. These answers could then be applied to their preferences and used to begin customizing the experience right away. 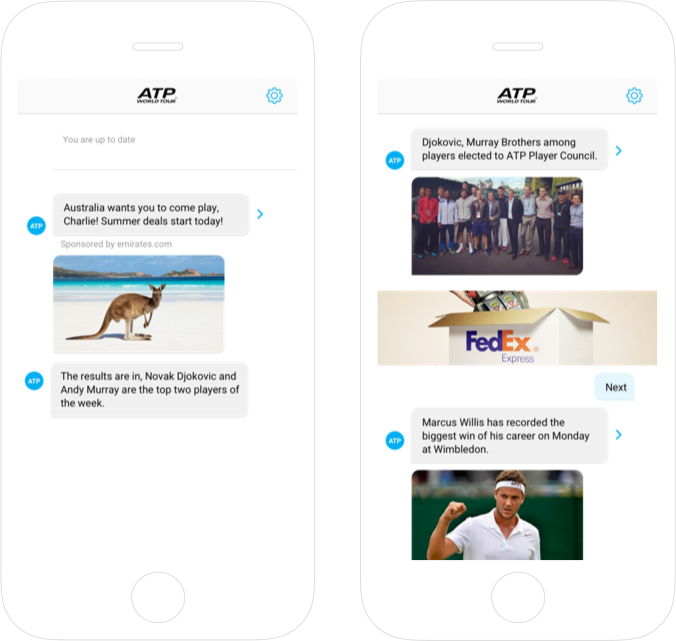 Content would be aggregated from ATP’s website and could include news, scores, stats, rankings, players, tournament info, video and photos. Subtle integration of ads and sponsored content is extremely important. It should follow the flow of content and should not obstruct or overwhelm the user’s experience. Sponsored messaging that is tailored to the user. Incorporating quick polls that could allow us to gauge user interests. Incorporating reactions or emojis for users to send as a response to the content.